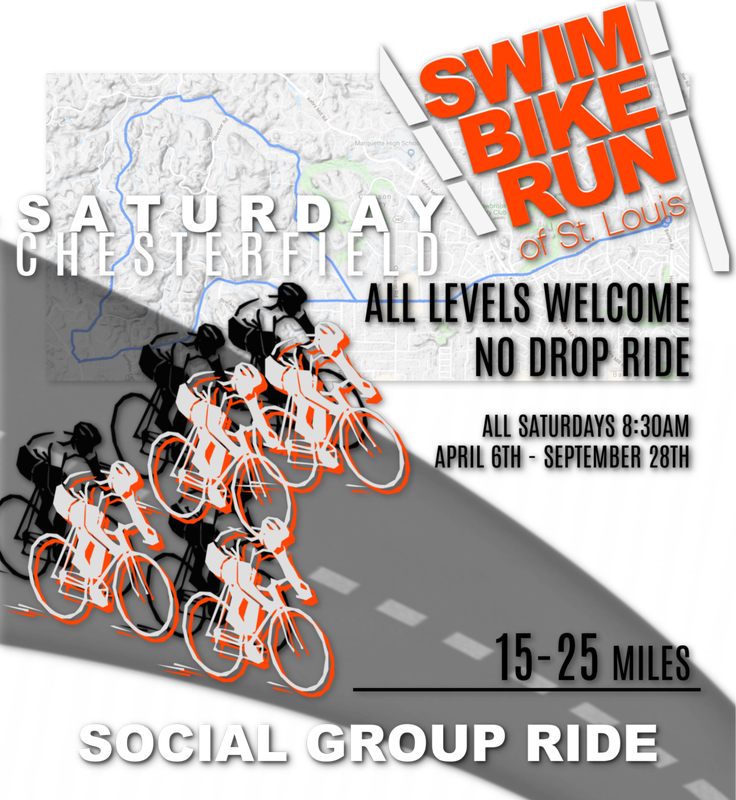 Here at Swim Bike Run Chesterfield we know that fast group rides aren’t for everybody. We also know that sometimes the most rewarding riding experiences are the ones where you meet new friends. 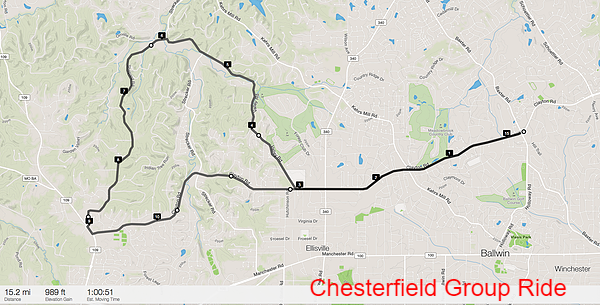 That’s why Swim Bike Run supports a (15-25) mile Social Saturday Group Ride aimed for beginners and those looking for a ride option where no one is left behind. We do, however, encourage participants to charge up the hill section on Shepard Road as we always fully re-group at the top where Shepard meets HW109. Here at Swim Bike Run O'Fallon we host a group ride where no one is left behind. We follow a simple out and back course with rolling hills. Due to the speeds and group ride nature of our ride we ask for only road and tri bikes. We always have a designated sweeper to ensure the safety of all our riders, regardless of fitness level. A annual waiver is required to be signed by all riders.